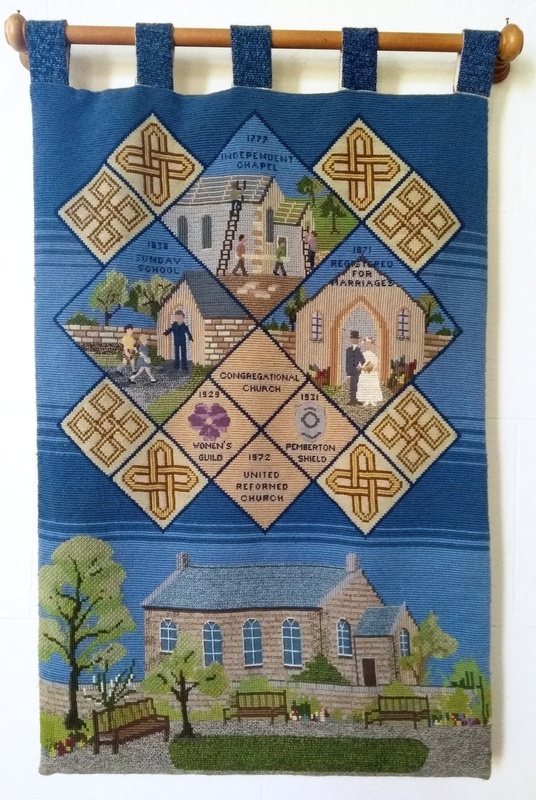 The five Tapestries were designed by Mrs. Anne Stanley and worked by ten church ladies, who met fortnightly in each other’s homes. 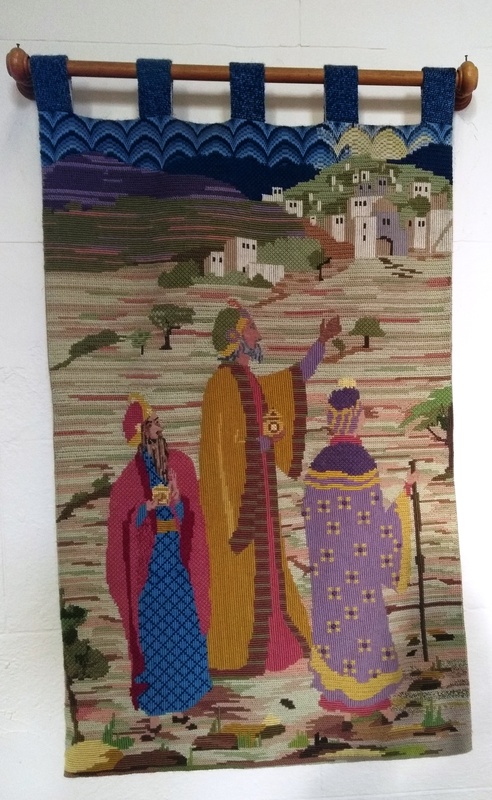 Here they exchanged the tapestry they had been working on, so that each tapestry was not the work of one person. Before they even attempted to start work they had lessons, (some of them never having tried this kind of work before), in the ten different stitches to be used, and how to follow the charts exactly. 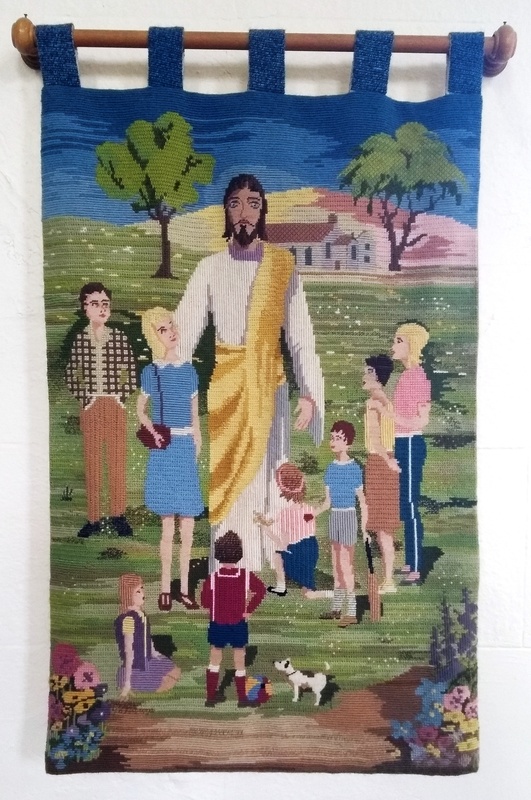 The tapestries were started in September 1984 and completed in May 1986. 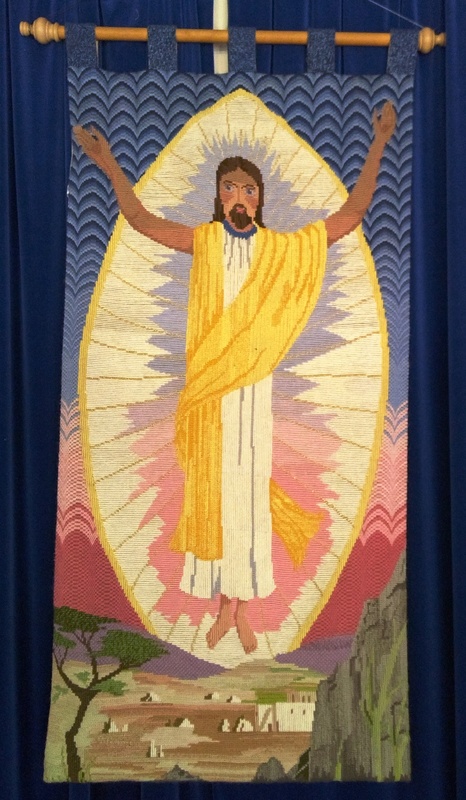 Above the communion table hangs the tapestry of the Risen Christ. The tapestry of the Risen Christ includes a copy of the signatures of the ladies who sewed them. 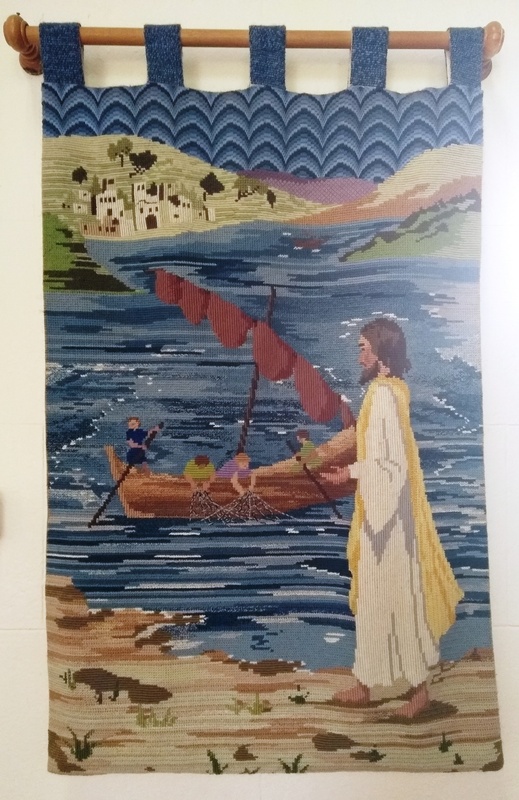 Pictures of the tapestries can be found in the church art photo gallery on this website. A book with more details is to be found at the front of the Church on the shelf near the organ.